Due to safety concerns – The Arizona Odyssey of the Mind Board of Directors has voted (Oct. 25, 2014) to disallow use of PVC piping in systems pressurized with a gas (air, CO2, etc.) in their OotM problem solutions. This includes this year’s problems/solutions. Teams please remember to ALWAYS use materials in accordance with the manufacturer’s requirements and limitations. Please direct additional questions to your regional director. We have prepared the calendar for the 2018-2019 Odyssey of the Mind activities. Please check out the calendar here! 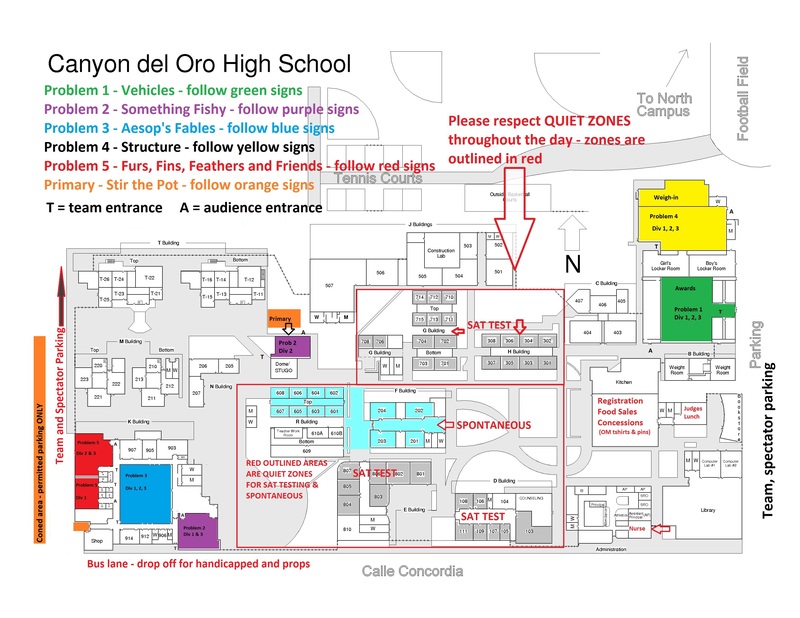 2016 Southern Regional Competition- March 5, 2016 at Canyon del Oro High School.